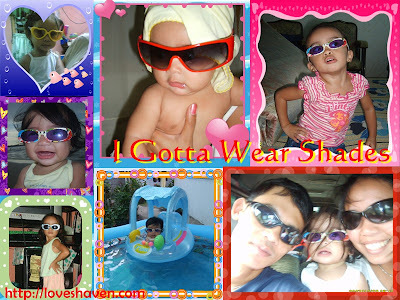 LOVE's Haven: Mommy Momments: I Gotta Wear Shades! from the house without wearing it. For more entries, just click it HERE! the mcklinky is there! are you having problems with it? family shades galore to sis, you all look good with shades. 'she doesn't want to go out of the house without it' i remember that movie with a little girl starring in it, i forgot the title but your daughter reminds me of her. all cuteness nga! ang galing naman ng daughter mo, di maarte when it comes to wearing shades. naka ilang pairs na ba cya mommy? parang iba-iba kasi ang suot nya from the pics. inggit ako kasi ang samantha ko, ayaw magsuot. hehe! i would like to invite you na rin to my meme called Tuesday Couch Potatoes. sali ka ha? thanks! woi bongacious man kaau ang family kay nka shades man tanan..sosyal...hehehhehe! woi gor, thanks sa dalaw...been a long time....ngeks, d man tawon ko ka afford sa blackberry....lahi man jud and phones dire sa US kay with plan man...monthly ang bills....hubby paid for it and the a lil bit from the blogging money kay nilapas man ang price sa among plan....hehehe....maong ot-ot ang bulsa.....how are you been? I love the photo na nakapameywang siya. So done with attitude! and poise. Very useful review. But did you know that turning your blog space into cash is a reality now? 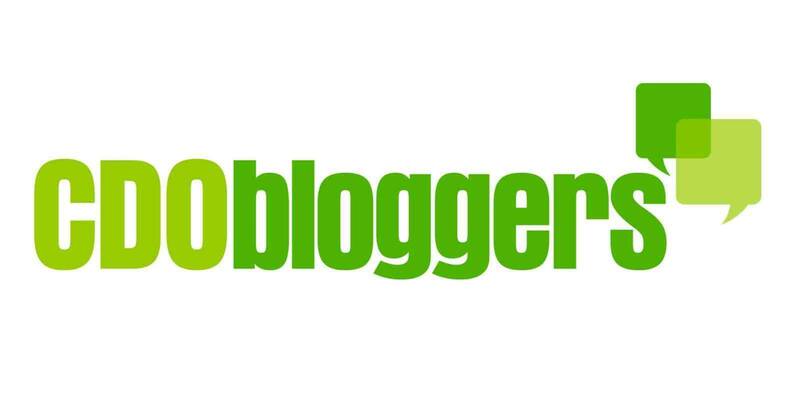 We invite you to the http://www.LinkFromBlog.com – the site where bloggers can earn money just for writing posts in their blogs and don’t pay any commission! Check it. It may be very useful for you. she loves those shades - it shows in every picture especially the one with pink frame :) so cute! naku sis ha carry nya shades nya ha..no probs pala sa kanya yong mag wear ng shades...maarte ha like mommy..he..he...like what you've said..LOL! "doesn't want to go out of the house without it"- hehehe cute!. my boys naman are not so into it.